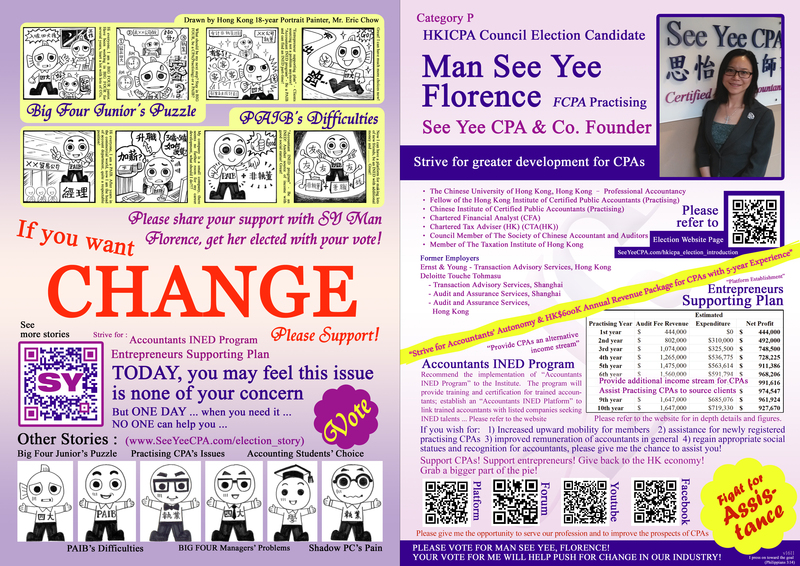 Man See Yee Election English - 思怡會計師事務所 - 法定審計,核數,稅務,盡職調查 - See Yee CPA & Co.
4) regain appropriate social statues and recognition for accountants, please give me the chance to assist you! 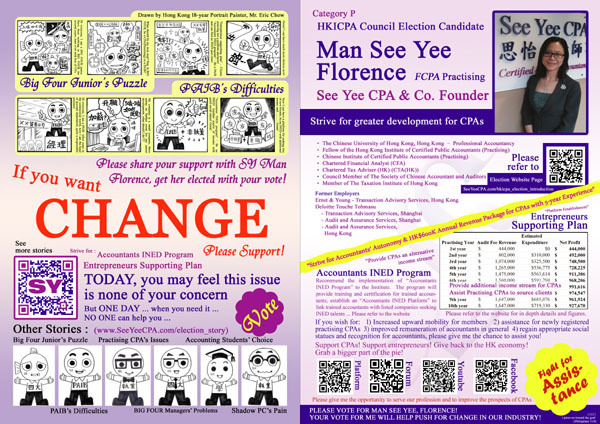 Support CPAs! Support entrepreneurs! 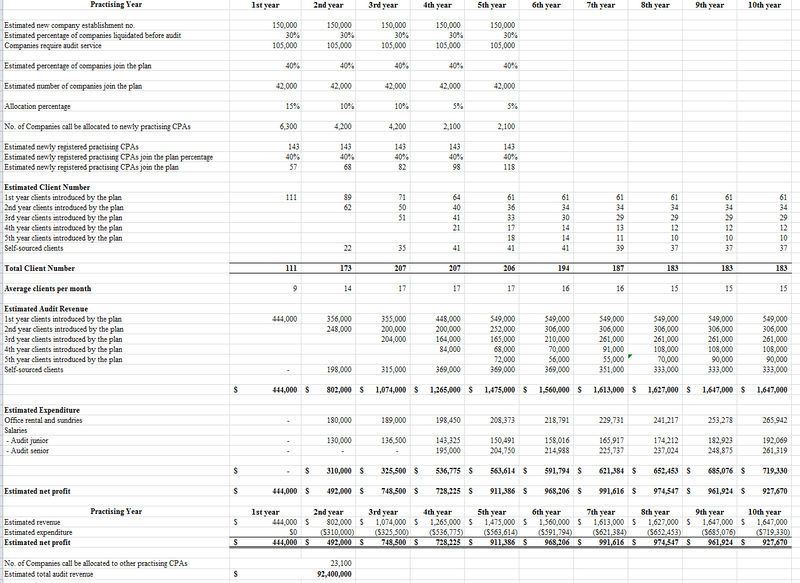 Give back to the HK economy! Grab a bigger part of the pie!